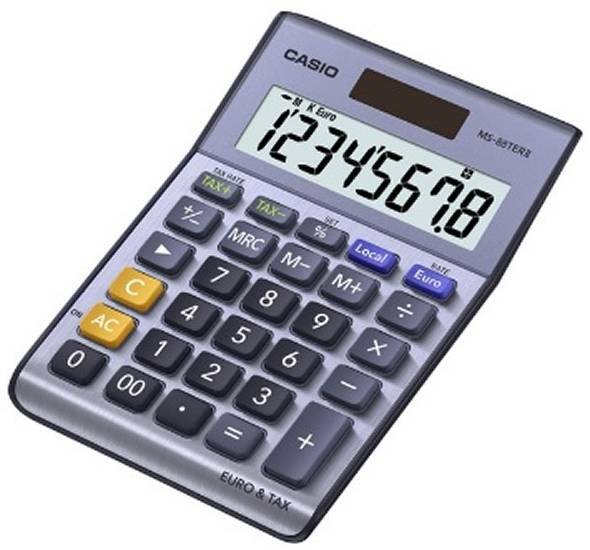 Large Casio electronic calculator. Extra large display. Function command signs. Tax calculations. EURO exchange functions. Battery and sunlight operated.